Join in on the Culture Days movement, submit to DieActive! 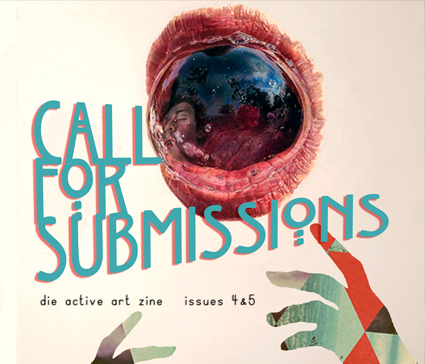 Die Active Artists are invited to create/submit 2 works for publication in the latest Die Active Art Zine. Submit art, writing, & photography to loradefsup@hotmail.com, or drop by defsup with your submissions during Culture Days September 27, 28 12-6pm.